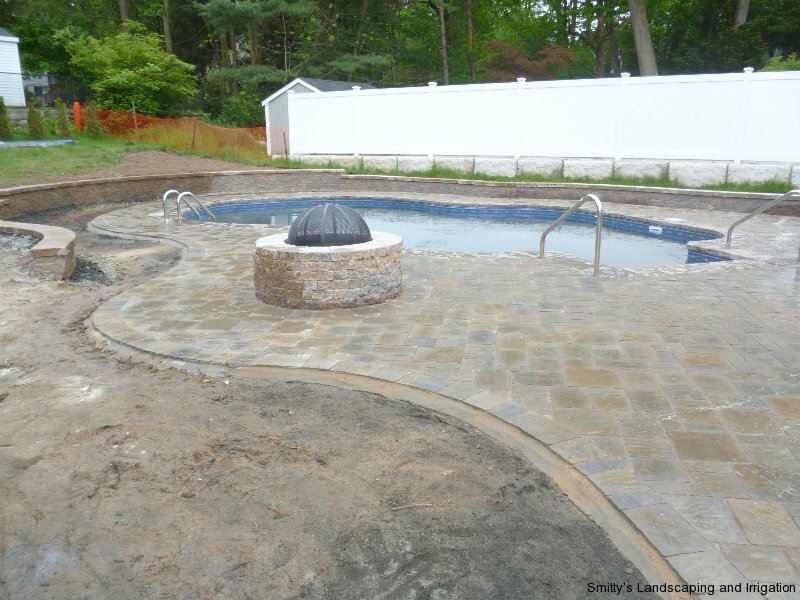 When we renovate an old pool with a new shape and style we create the backyard oasis of our client’s dreams. 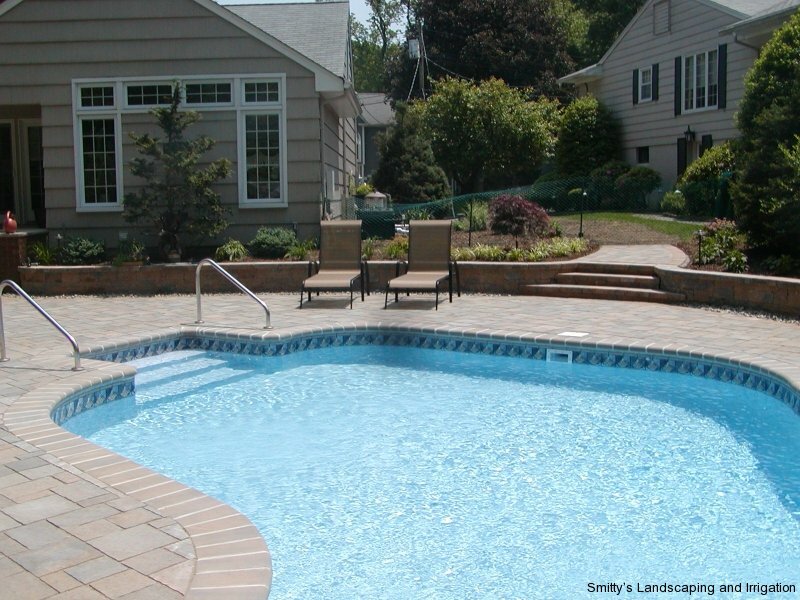 We select the perfect paver of the highest quality to surround the pool area. 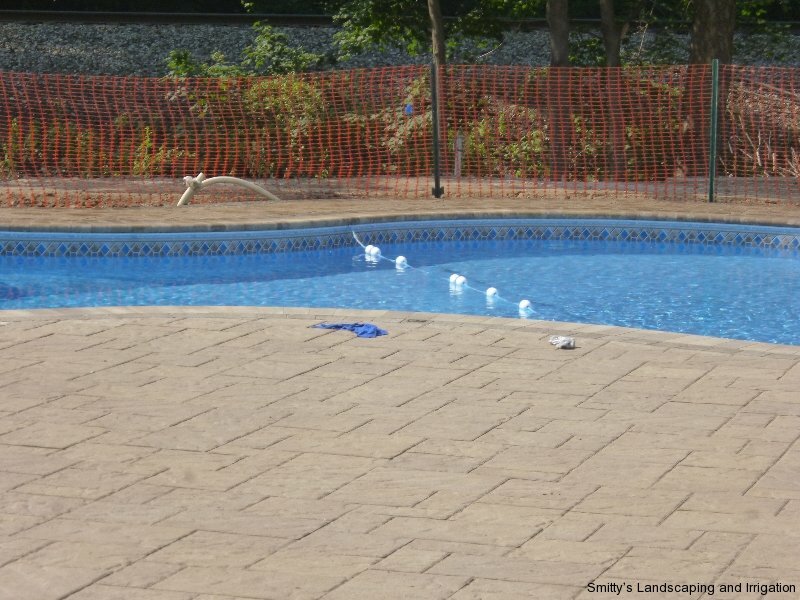 Our selection of paver will enhance the style of the pool and compliment the home. 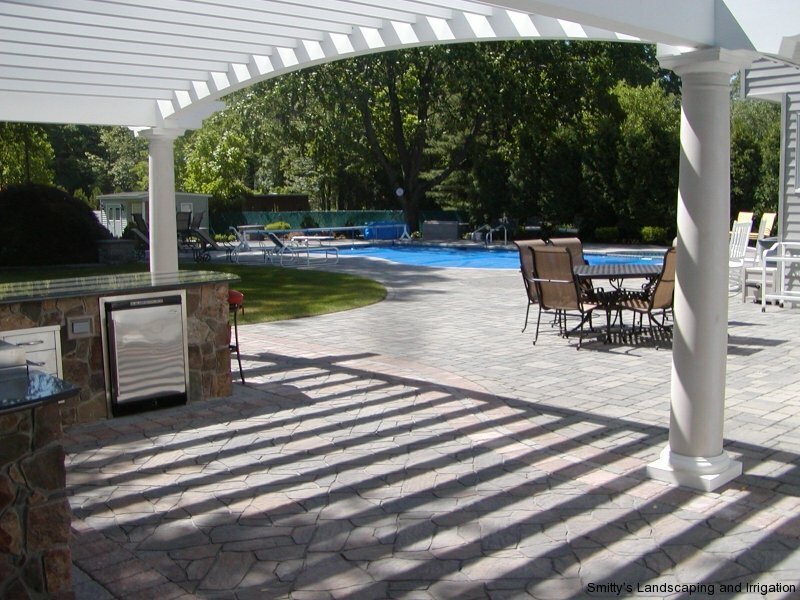 We also design the space with interesting and functional areas; a pergola is great for added architecture and shade. Water brings life to the landscape and is the focus for pleasure and relaxation. 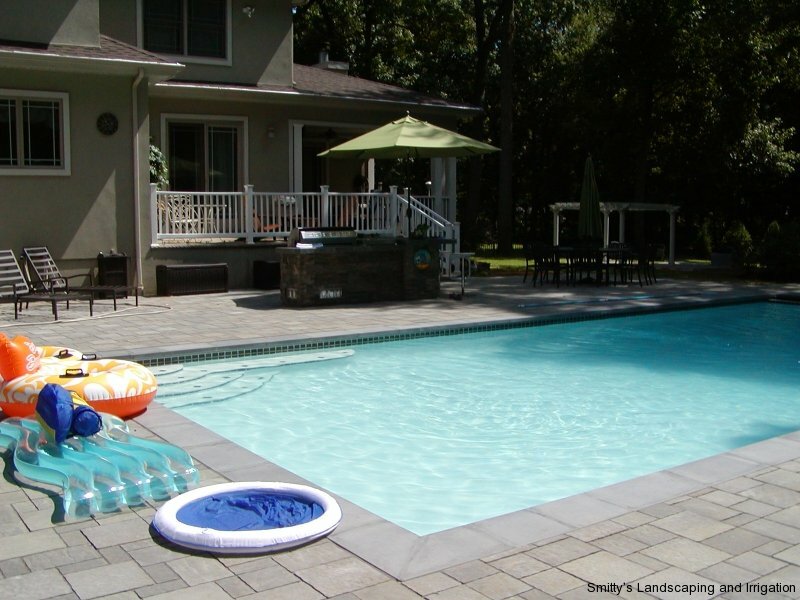 The stillness of the reflective pool or the gentle splash of a waterfall will cool and refresh on a summer’s day. Adding this element to a garden creates a wonderful and exciting focal point. 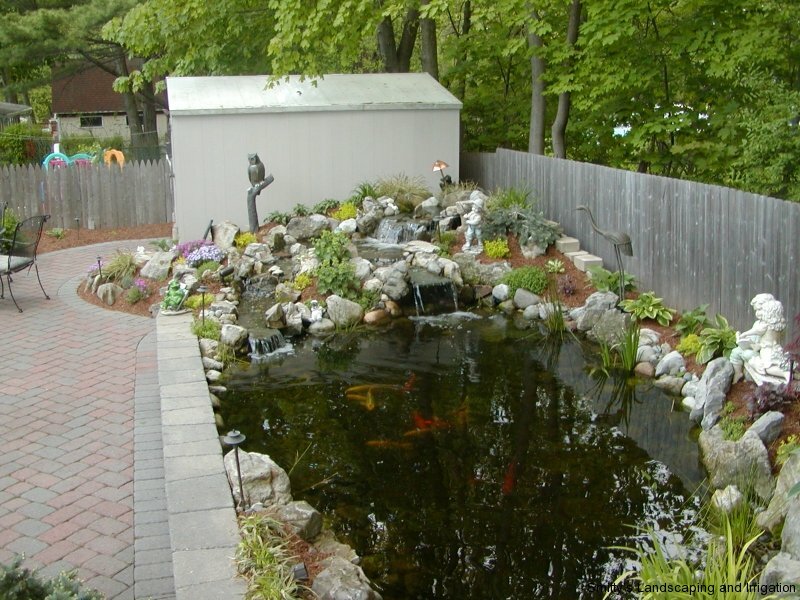 The plant material surrounding a pond will be a constant delight. 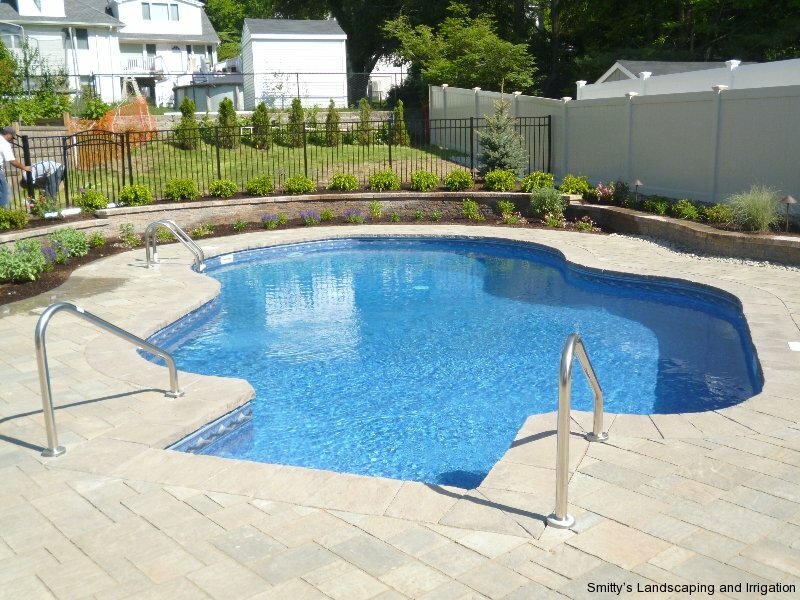 Whether pool or pond, a garden is enhanced by any water feature created by Smitty’s Landscaping and Irrigation. Please call (973)785-8483 or contact us using the form below. I wanted to thank you for the new wall you built. Besides looking beautiful it stands strong and am sure it will stay that way. Claudia loves the wall and we receive many compliments from neighbors and family. 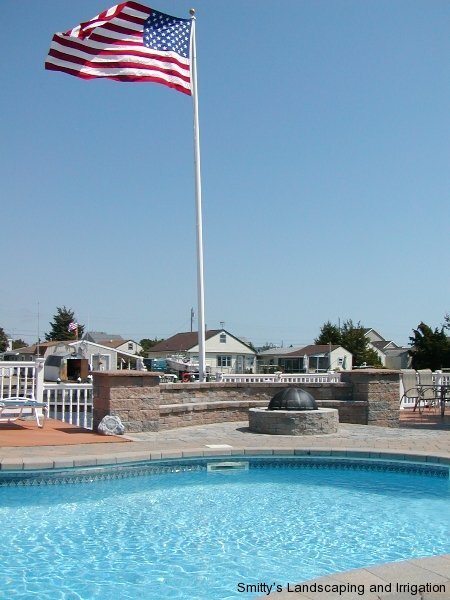 I will pass your name to everyone who needs a reliable and honorable contractor. Thanks again. We’ll talk soon. We loved the Christmas lights this year! All of our visitors were impressed with how great they looked, and I think many of them will be calling you next year. Words can not express how dramatically and beautifully your expert work has changed the face of 61 Main Street, First Reformed Church of Little Falls. Wanted to take a moment to give much deserved thanks for the beautiful job you have done at The First Reformed Church of Little Falls with the beautiful landscaping and paving work. To say that we are completely thrilled & happy with your work is an understatement! Through every step of the way you were courteous, informative, reliable, professional & simply a complete pleasure to work with. Your work crew were fantastic! Thank you for our new patio and lighting!! I also wanted to let you know that the repaving of the driveway was great. 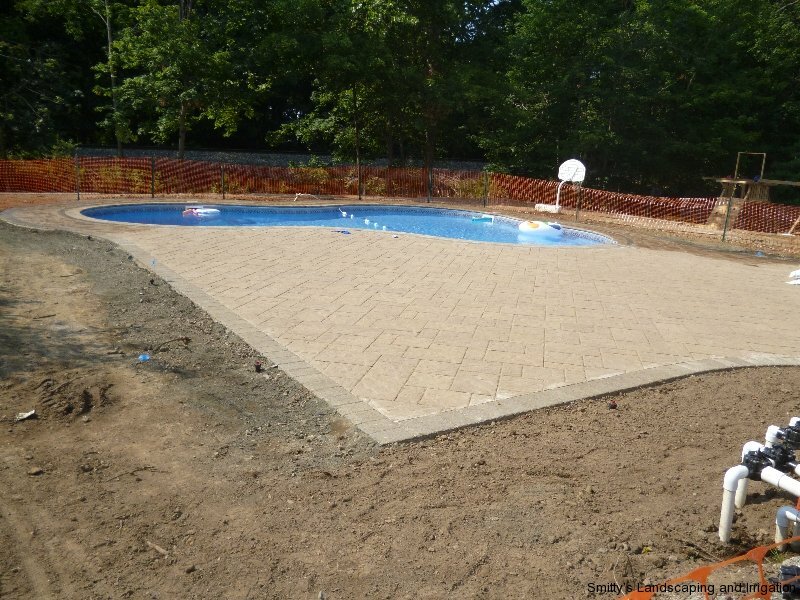 The problems that I had with the ponding of storm water at the bottom of the stairs and storm water getting into the garage have been resolved with the new driveway. If you should ever need a reference or want me to show the fine work your company has done for my property, please do not hesitate to call. We want to tell you, again, how pleased we are with our new patio and gardens. 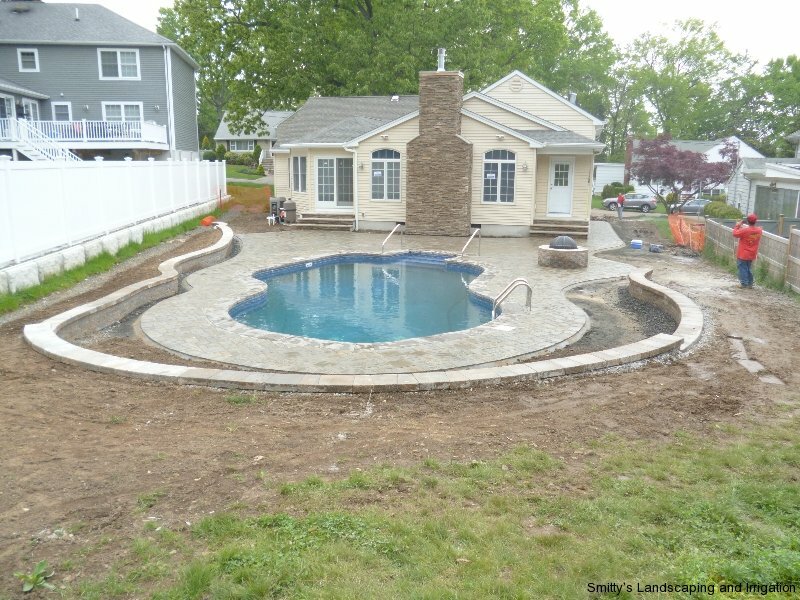 You truly transformed and ugly backyard that we hated to look at into a happy welcoming place that will add pleasure to our lives.We do want you to know how happy we are with your work. This is certainly first class. We recommend you whenever we can. Thanks again, everything is beautiful. WE LOVE IT.